Unfortunately, some of the Bigcommerce themes are not mobile-friendly inherently, so they had to develop a separate mobile theme. The drawback of this mobile theme is that any HTML/CSS that has been added to the desktop version of the theme is not carried over to the mobile theme automatically, so it has to be manually added in. Step 1: Log into your Justuno account and head to the settings area. Then find the embed code tab and highlight and copy the embed code. Step 3: Once in the mobile area check the enable box if its not already marked and then hit the download template files. Step 4: Create a folder on your desktop and download the file. Place the file within the folder and unzip it. If you do not have an unzip program please download one such as Winzip. Step 5: Open the unzipped folder, scroll down and open the "panels" folder. There you'll find the "footer html" on your mobile template. 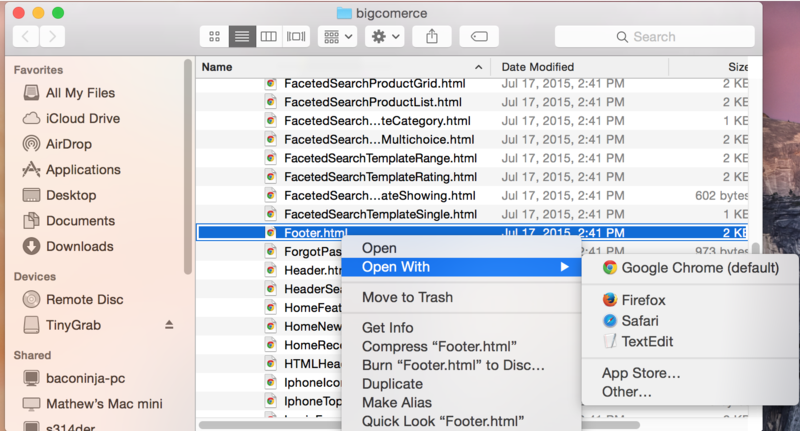 Step 8: Go back to your Bigcommerce dashboard and head to your settings area then find "File access (WebDAV)" if you have the either of the programs you only have to click one of the download buttons. Either server connector is fine. When you hit download it will automatically open up a connection to your stores server. 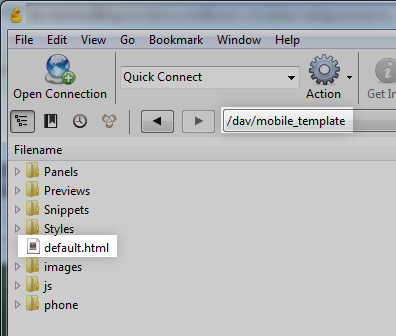 Step 9: Upload the entire mobile template folder to the mobile_template directory. Make sure to keep the order of the folders in tact! For any questions on altering the mobile template folder, head here. Step 10: Hit save and you're all set!